Eglin Air Force Base (IATA: VPS, ICAO: KVPS) is a United States Air Force base located 1-mile (1.6 km) southwest of Valparaiso in Okaloosa County, Florida, United States. The residential portion of the base is a census-designated place; its population was 8,082 at the 2000 census. 46th Test Wing (46 TW)The 46 TW is the test and evaluation center for Air Force air-delivered weapons, navigation and guidance systems, Command and Control (C2) systems, and Air Force Special Operations Command systems. The Eglin Gulf Test Range provides approximately 130,000 square miles (340,000 km�) of over water airspace. 53d Wing (53 WG)The 53 WG is headquartered at Eglin and serves as the Air Force�s focal point for operational test and evaluation of armament and avionics, aircrew training devices, chemical defense, aerial reconnaissance improvements, electronic warfare systems, and is responsible for the QF-4 and subscale drone programs. The wing tests every fighter, bomber, unmanned aerial vehicle, and weapon system in the Air Force inventory. The wing reports to the Air Warfare Center at Nellis Air Force Base, Nevada, a Direct Reporting Unit to Headquarters Air Combat Command. 49th Test and Evaluation SquadronThe squadron plans, executes and reports ACC's weapon system evaluation programs for bombers (B-52, B-1 and B-2) and nuclear-capable fighters (F-15 and F-16). These evaluations include operational effectiveness and suitability, command and control, performance of aircraft hardware and software systems, employment tactics, and accuracy and reliability of associated precision weapons. These weapons include air-launched cruise missiles, standoff missiles, and gravity bombs. Results and conclusions support acquisition decisions and development of war plans. The unit also performs operational testing on new systems and tactics development for the B-52. Naval School Explosive Ordnance DisposalThe Naval School Explosive Ordnance Disposal (NAVSCOLEOD) is a Navy-managed command, jointly staffed by Army, Navy, Air Force, and Marine Corps personnel. NAVSCOLEOD had its official ribbon cutting on the new consolidated training facility in April 1999. In 1931, personnel of the Army Air Corps Tactical School (Maxwell Field, Ala.) while looking for a bombing and gunnery range, saw the potential of the sparsely populated forested areas surrounding Valparaiso and the vast expanse of the adjacent Gulf of Mexico. Local businessman and airplane buff James E. Plew saw the potential of a military payroll to boost the local area�s depression-stricken economy. He leased from the City of Valparaiso the 137 acres (0.6 km�) on which an airport was established in 1933, and in 1934, Plew offered the U.S. government a donation of 1,460 acres (6 km�) contiguous for the bombing and gunnery base. This leasehold became the headquarters for the Valparaiso Bombing and Gunnery Base activated on June 14, 1935, under the command of Captain Arnold H. Rich. With the outbreak of war in Europe, a proving ground for aircraft armament was established at Eglin. The U.S. Forestry ceded to the War Department the Choctawhatchee National Forest. In 1941, the Air Corps Proving Ground was activated, and Eglin became the site for gunnery training for Army Air Forces fighter pilots, as well as a major testing center for aircraft, equipment, and tactics. In March 1942, the base served as one of the sites for Lieutenant Colonel Jimmy Doolittle to prepare his B-25 crews for their raid against Tokyo. A number of auxiliary fields were constructed on the Eglin reservation at this time, many of which are still in service in various roles, either in support of flight operations or special test activities. In 1975, the installation served as one of four main U.S. Vietnamese Refugee Processing Centers, where base personnel housed and processed more than 10,000 Southeast Asian refugees. Eglin again became an Air Force refugee resettlement center processing over 10,000 Cubans who fled to the U.S. between April and May of 1980. Infielder Jay Bell was born here. Author Hunter S Thompson served here in the 50s. The area gets only 50 to 60 days of annual precipitation or more rainfall. There are few days without sunshine which allows year-round outdoor activities. Eglin Air Force Base is also a launch site for civil rockets of NASA. There are three launch pads: one at 29.6700 N, 85.3700 W at Cape San Blas; and two on Santa Rosa Island at 30.3800 N, 86.7400 W and 30.3800 N, 86.8170 W. Rockets launched here have included Arcas, Nike Cajun, Nike Apaches, Nike Iroquois, etc. This site was formerly operated by the 4751st ADS with CIM-10 Bomarcs, inactivated in 1973. In the 1940s, captured V-1 and American copy Ford JB-2 Loon buzzbombs were launched out over the Gulf of Mexico from these sites. ^ American FactFinder. United States Census Bureau. Retrieved on 2008-01-31. This article incorporates text from Eglin Air Force Base, a public domain work of the United States Government. 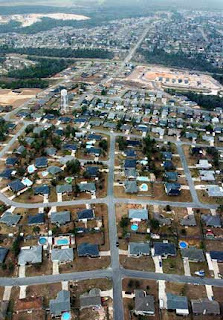 EGLIN AFB � Construction of a military resort on Okaloosa Island might move a step closer later this month. Eglin Air Force Base will host an industry forum Feb. 21 at the Emerald Coast Conference Center, not far from the 17.1-acre beachfront plot where it would like to see Emerald Breeze built. A welcome reception for interested contractors will be from 6 to 8 p.m. Feb. 20 at the Air Force Armament Museum. The project on the Air Force-owned parcel will be an enhanced-use lease contract. The Air Force is looking for a developer to build and manage the resort. Eglin spokesman Mike Spaits said the upcoming forum is not a bidding venue. Rather, it�s an opportunity for local officials, bankers, developers and real estate managers, among others, to get more information about the resort. Environmental and biological assessments must be made on the valuable parcel. Each study generally takes about six months to complete, but when they will begin hasn�t been determined yet. 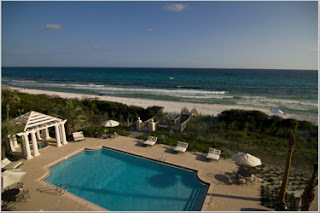 The Air Force sees the resort as a way to reward troops and other Department of Defense workers and dependents for their service and sacrifices while also drawing tourism dollars to the Emerald Coast. 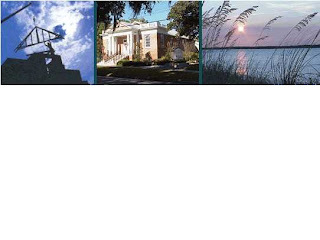 For more information or to register for the Emerald Breeze resort industry forum Feb. 21, go to jllpress.com. Eglin has one of the largest civilian work forces in the Air Force with approximately 11,000 civilians assigned. 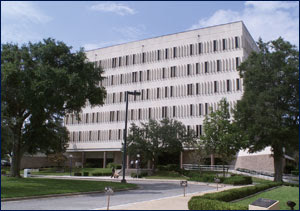 The Civilian Personnel Office in Building 210, room 134 serves all appropriated fund employees assigned to Eglin. Customer service is available Monday through Friday from 7:30 a.m. to 4:30 p.m. To find federal civil service employment at Eglin, Hurlburt Field, or Duke Field, contact the Air Force Civilian Personnel Center at Randolph Air Force Base, Texas. The personnel center is the focal point for Air Force civilian jobs within the United States. The Web site address is www.afpc.randolph.af.mil Job announcements are posted on the Web site. There are specific instructions on how to fill out a resume on-line and submit it for jobs at Eglin, Hurlburt Field, or Duke Field. administers identification cards, also called smart cards or CAC cards. The telephone number is 882-3442.
accordance with Air Force Instruction 36-2903, Dress and Personal Appearance of Air Force Personnel, although a uniform isn't required. Department of Defense civilians, dependents and retirees need to go to MPF to get an ID card before going to Pass and Registration. The Financial Services Office is located in Building 350. Customer service hours are Monday through Friday from 8 a.m. to 3 p.m. Customer service is dedicated to providing customers with prompt and accurate military and travel pay service. Finance personnel are available to help during in-processing and are always available to assist whenever there are questions concerning pay and travel entitlements. Phone numbers to remember are 882-5441/5442. Military Leave and Earnings Statements are now available for review on myPay at https://mypay.dfas.mil/. As always, "Customers are the focus of all we do." Keeping Finance informed of changes that may affect military pay will enable them to better serve its customers. Get involved at the YMCA in your neighborhood!